It’s never too soon to start feeding your piglets, Early feeding stimulates the feed intake and ensures a smoother transition to solid feed. 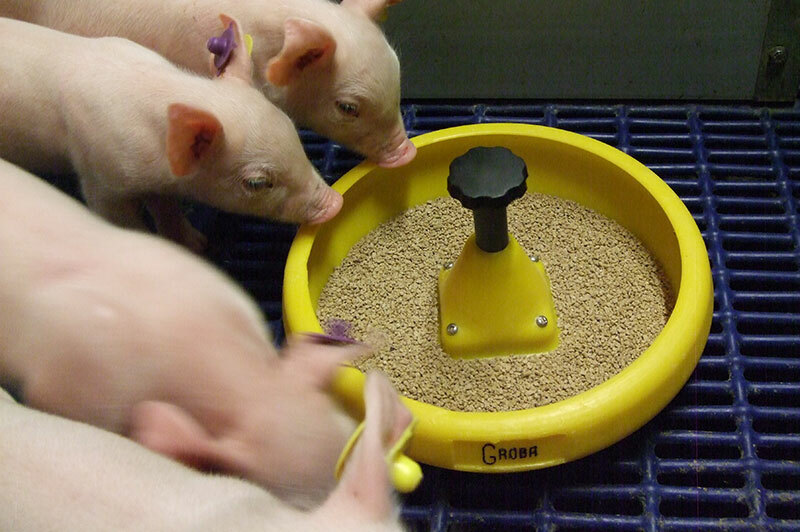 Piglets have easy access to feed in the Groba piglet bowl, so they can get used to solid feed at an early age. 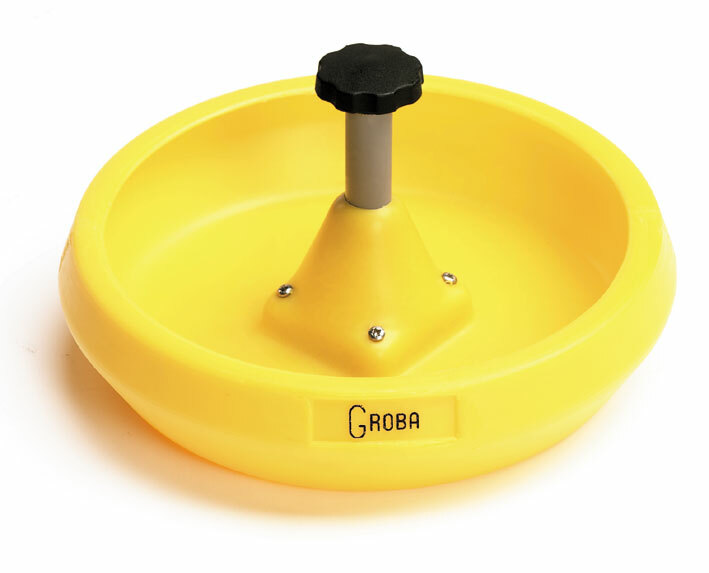 Groba piglet bowls are made of robust plastic, which is hygienic and durable. As well as feed, the bowls can also be used to provide milk or other liquids. The bowls are easy to clean and durable for a long life. The anti-spill edge ensures that practically no feed is wasted by the piglets. You can achieve optimal growth with a lower feed input. The robust bar clamp makes moving or removing the piglet bowl easy. Other Groba products that may be of interest to you: Start-up feeder, Grofit for piglets, All-round feeder or our Stalko dry feeders.